All players choose a card from their hand and pass to the next player. Keep swapping until someone gets a set of 4 matching cards. 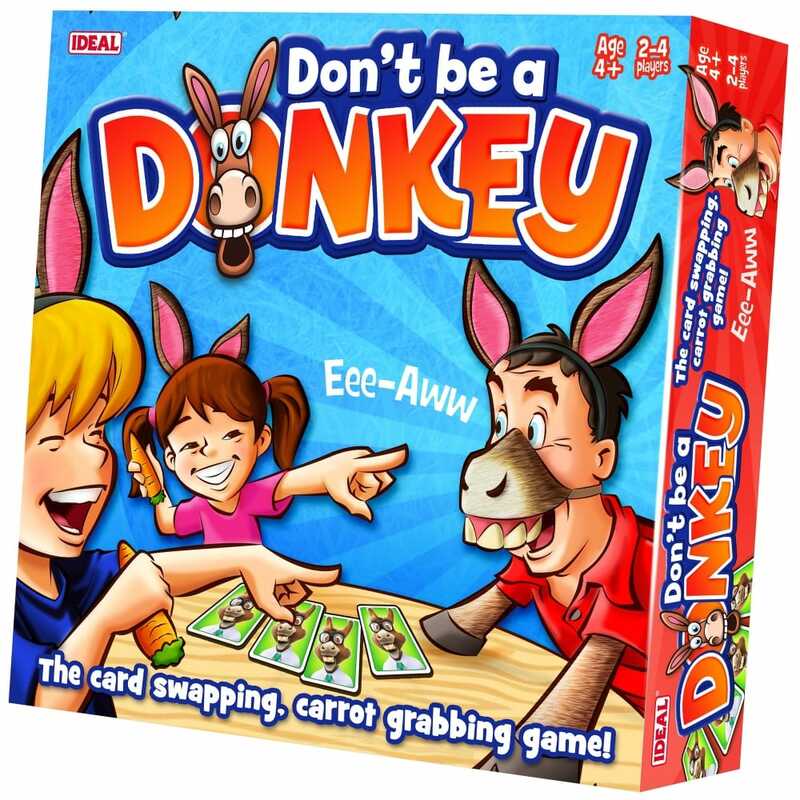 As soon as a player gets 4 matching donkey cards they shout DONKEY and everybody grabs for a carrot. If you didn’t get a carrot, you lift up one of your donkey ears. If you lose three times you become the donkey! EEE AWWW! Showing 2 Ideal Don't Be A Donkey Card Game~**^ reviews. Average rating of Excellent. Would you like to write a review? I am very pleased with the product and the prompt service. We played with age range from 7 to 65 and enjoyed it.